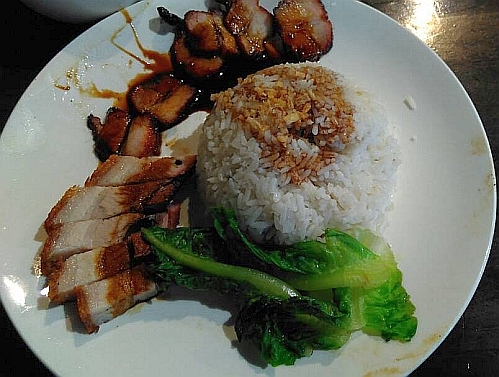 Roasted Pork and BBQ Pork (Char Siu) Rice at MYR 10.90+ (10% service charge = MYR 12 nett). Passable only. The above items are the other rice dishes on their menu. 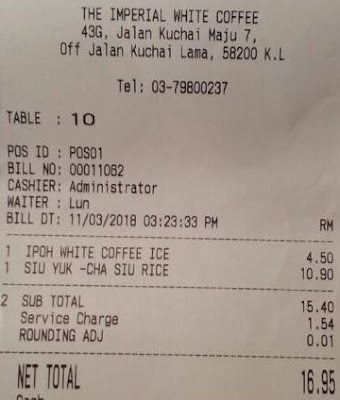 I like the thick and strong taste of their Ipoh White Coffee (Ice) at MYR 4.95 nett but my friend said that it is too strong for her. I ordered the CC01 item but they did not serve it to us despite 3 reminders so we cancelled our order. I wonder what does the name mean. I wanted to go and try it on another day but everytime we go there, there was a long queue so we abandoned our quest. Located at Kuchai Entrepreneur Park, this place seems to be very popular at this time. 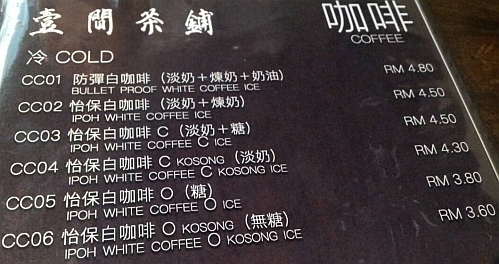 Something like Ipoh White Coffee. But this is non-halal. I prefer they serve sauce separately in a saucer, not pour on top of my rice and meat. Me too. Don't like the sauce. I wonder how the butter inside the coffee make the whole thing taste like. That pork platter looks really good! But my friend says the taste is so-so only. but you can go try the butter coffee. Oh, is that a big portion? Looks like business is so good they don't have to care about service. Not that they do not care. We talked to the person in charge and he was really concerned but it is out of his control. Now I am feeling hungry! Long time didn't eat roast or bbq pork rice! Maybe I buy some bbq pork for dinner! Have you tried making char siew before? Since you can make yuk kon I think you can make char siew as well. This one served by Annie-1 is THE BEST in the world. hah I nearly miss your comment because TM answered it. 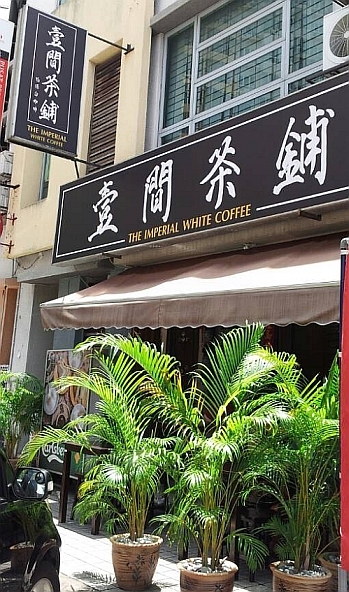 I must order the white coffee at Annie 1 and remember the taste because I don't remember which coffee we ordered when we ate there last time. ah so even TM says it is the best. Please see TM reply below. I have tried before with butter in other places and it tasted good. It is very common in mountain regions like Tibet, Bhutan and Nepal. Those countries need butter a lot because they are cold countries. Hahahaha, I guess they did not know that or they only drink overseas coffee.